Sew what's cooking with Joan! 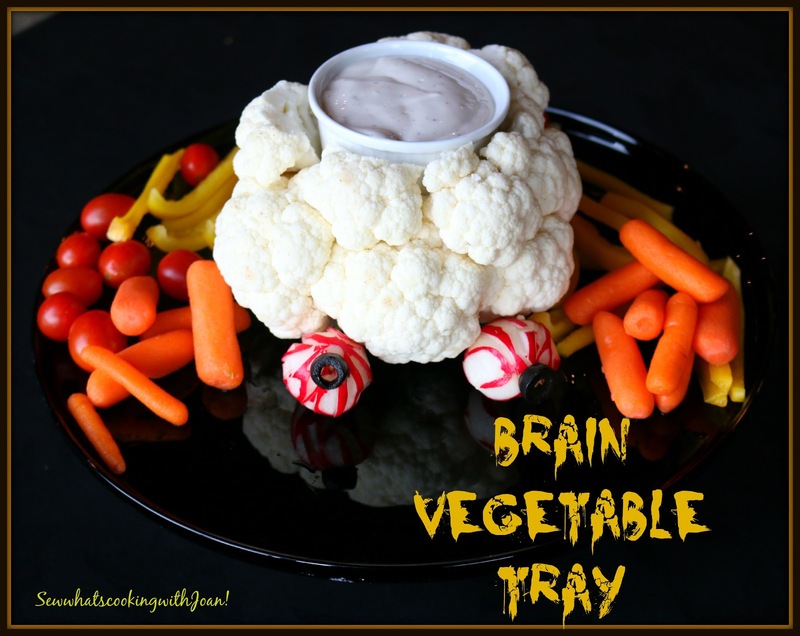 : Scary Brain Vegetable Tray! If you’re still on the hunt for a last minute Halloween costume, I've got an idea. Go out and buy glow-in-the-dark stars and planets that are usually on a child’s ceiling and stick them onto a black shirt and black pants. Woo Hoo!! You’re the solar system. Easy, comfy, and cheap. You could literally walk around in your sweatpants. Cut the florets from the top of the cauliflower until you have a bowl. Remove the greens from the bottom. 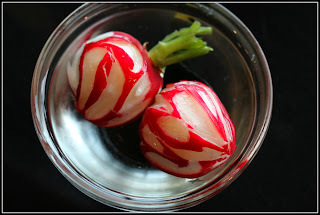 Cut the stems from the radishes, leave the stem on to look like the optic nerve. Remove the skin, but leave some red to look like veins, can be done with a potato peeler or paring knife. Line the bowl of the cauliflower with plastic wrap or foil. Fill the bowl with dip, garnish with eyes and purple onion for mouth. Serve with vegetables and crackers. 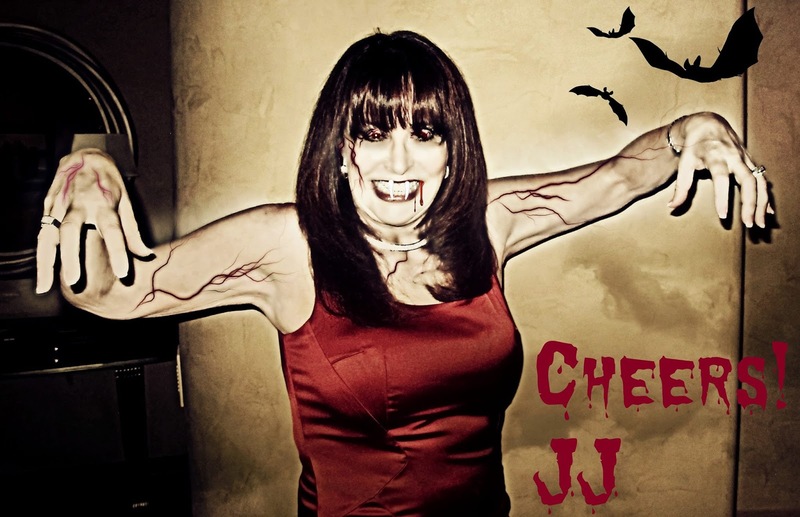 Zombie Caramel Corn and more!